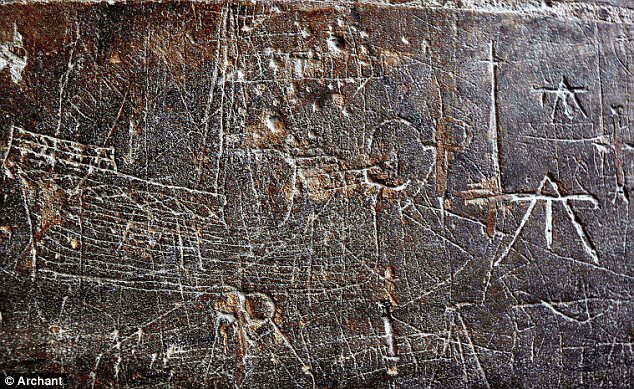 The daily lives of medieval townsfolk have been brought to light by an extraordinary haul of graffiti found in Norwich Cathedral. 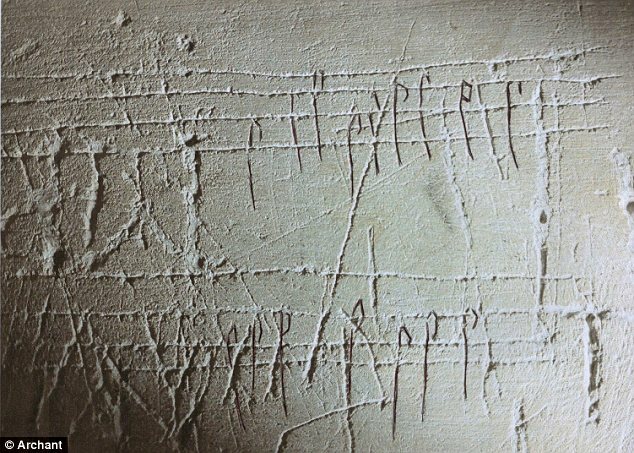 Messages have been scratched into the walls of the historic buildings over hundreds of years, but few people have ever stopped to work out what they say. 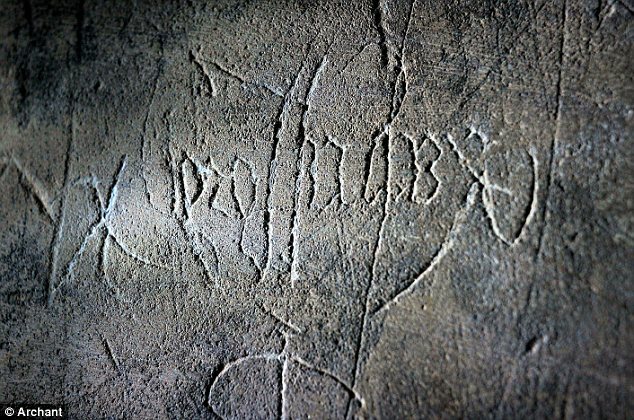 Archaeologists have now started a major project to decipher the extraordinary messages, and have found a mixture of musical pieces, pious exhortations and even supernatural curses. 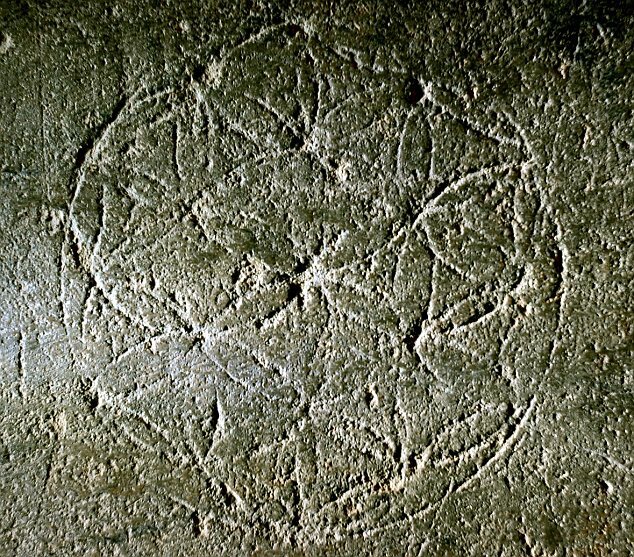 While most church-goers these days would never even contemplate defacing the walls of a Norman cathedral with graffiti, medieval residents of Norfolk had a far less protective attitude to their monuments. 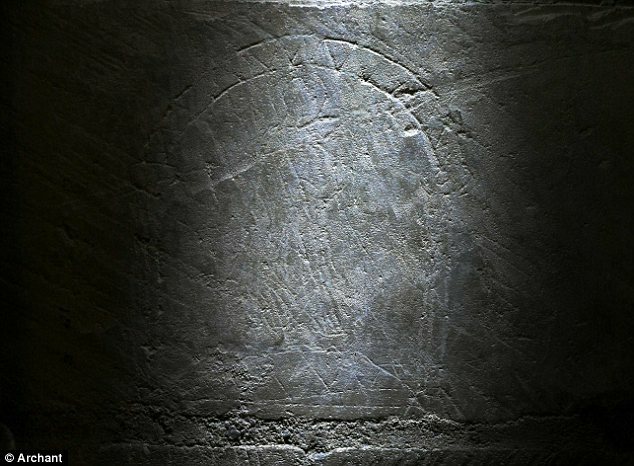 Volunteers from the Norfolk Medieval Graffiti Survey began cataloguing the scrawls found in the cathedral earlier this year, and have already recorded hundreds of inscriptions. 'The walls are covered in everything you can think of,' project director Matthew Champion said. 'Medieval ships, names, animals, windmills, figures and prayers. 'Just about everything that would have been important to the citizens of Norwich during the Middle Ages. 'I think we have to understand that our modern view of the cathedral is very different from the way in which it was viewed by the local people during the Middle Ages, particularly the ways in which it was used. His deputy Colin Howey added: 'These are whispers in stone and you are standing in the place where, hundreds of years ago, someone would have been scratching away. 'It could be a devout symbol of faith, or someone creating a slander, or a musician noting down a new composition.